Foodies build vacation plans around these one of a kind gastro-gems. If your quest for the perfect meatloaf has not been met with success, you might visit Diners, Drive-Ins, and Dives featuring the Metro Diner in Jacksonville … or the Memphis Diner in Tennessee where locals have been savoring year after year! Triple-D has developed an enormous and diverse following including famous actors, athletes and musicians. Notable’s include Brad Paisley, Emeril, Joe Theismann, Adam Sandler, Dennis Miller, Matthew McConaughey, Chef Robert Irvine, Gene Hackman, Gene Simmons, Kid Rock and Chris Rock…..and many more! 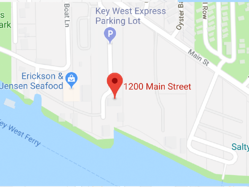 Wanna know where to eat in Key West? 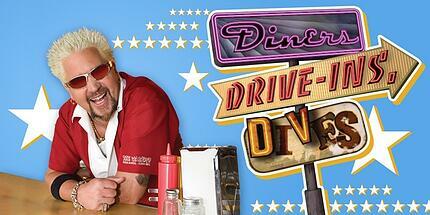 Triple D’s Guy Fieri can tell you exactly where to go! This trip, Guy's checked out some of the awesome eats of the island — Key West, Fla., that is. 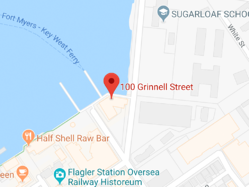 From a funky little shack servin' up New England seafood with coastal twists to a husband/wife team dishing up stand-out fish tacos, just down the street. And a trip to this eclectic oasis wouldn't be complete without a stop to the teeny tiny food cart crankin' out hundreds of Asian/Caribbean fusion dishes a day. Key West is known for fresh seafood and D.J.’s Clam Shack serves some of the freshest around. The garlic butter clams are buttery with a spicy zing, thanks to the house made jalapeno spice. Other popular menu items include lobster rolls and conch fritters. 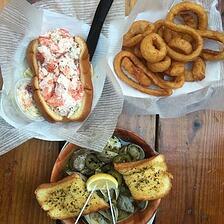 D.J.’s Clam Shack has some of the best middle neck clams and lobster rolls in the south! Eli and Kenna Pancamo bring a fun attitude and serious culinary edge to their food truck, Garbo’s Grill. Triple D, Guy Fieri was won over by the Umamiburger smothered in chipotle gouda, calling his first taste of this topping a “history-making moment in Triple D". The sweet, spicy Korean BBQ tacos are also a hit. Garbo’s Grill have some of the freshest fish taco’s… island style and the dogs are to die for! With only 6 menu items and 7 days in a week, diner’s will have to repeat their favorite! 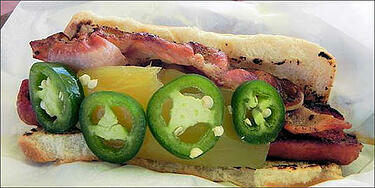 Trip Advisor reviewers rate Garbo’s # 2 for dining in Key West! Guy took time to check out local hot spot Bad Boy Burrito where some of the best, most-authentic Mexican food in the area can be found. 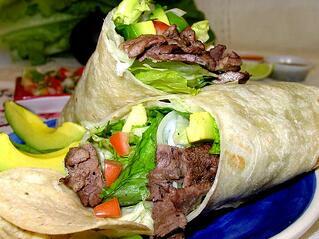 A favorite item is the “hot, salty, sweet” Kobe beef burrito stuffed with beans, rice and other yummy fillings. Guy also enjoyed the Cayo Hueso Fish Tacos made with uber fresh locally caught fish. Bad Boy has many, other choices as well; including salads, smoothies, juices…. and are vegan friendly! 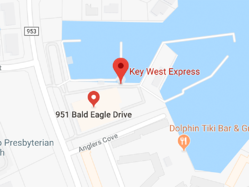 So, when you head south to Key West, don't forget to stop by these iconic out of the way foodie delights or try some of these restaurants that don't quite fit the "Triple D" bill.